WARREN TOWNSHIP, N.J. -- Police said a man was driving more than 100 mph before crashing his car in New Jersey over the weekend, killing both himself and his 9-year-old son and causing the injuries of three others. The crash happened on Interstate 78 in Warren Township in Somerset County just before 9 p.m. Saturday. 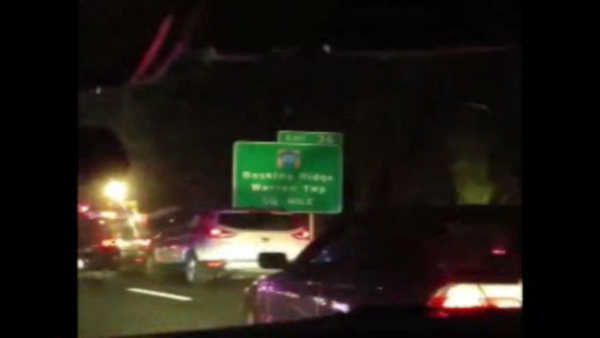 According to the New Jersey State Police, 34-year-old Stephen Weekes, 34, of Bethlehem, Pa., was traveling westbound on I-78 at "an extremely high rate of speed" and passed a marked trooper's vehicle. The trooper tried to pull Weekes over, but he kept going for about 3 miles. State police said Weekes' Honda Accord struck the side of another car before careening off the road into the trees on the right side of the highway. Both Weekes and his son, Anthony Weekes, 9, of Jamaica, N.Y., were pronounced dead at the scene. Two men who were in the car Weekes struck left their car and were hit by a Porsche Boxster. Troopers said the driver of that car lost control as she approached the crash scene. All three were taken to the hospital and were reported to be in stable condition. The state police are trying to determine why Weekes was traveling at such a high rate of speed with a child in the car. "There was evidence in the car indicating possible intoxication, but the medical examiner's lab tests will not be complete for several weeks," said the state police in a news release.